Our vehicle diagnostic equipment is designed to identify faults in your car. Most modern cars now have a whole range of electronic systems which can sometimes go wrong, such as air bags, anti-lock brakes, air conditioning or electric power steering. If you get a warning light come up on your dashboard (or one fails to extinguish after you’ve started the engine), you should stop as soon as possible and check your handbook to get an explanation of their meaning and actions to take. 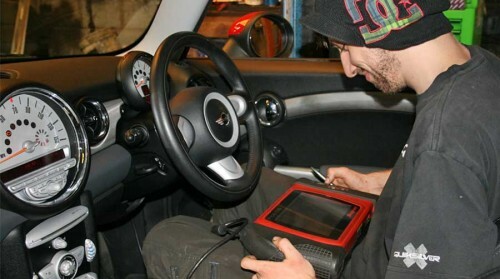 When you can get your car to us we will use our specialist diagnostic equipment to scan the car and identify the fault codes – this will then help us to diagnose the problem and repair the issue.